I never made it through Jane Austen’s Pride and Prejudice back in high school – it was the second book in a double feature that included Tess of the d’Urbervilles in my senior year English class, and I just couldn’t do it. However, high school students of the future will have a much better go of it since they can skip Austen’s literary classic and just watch the new film version, Pride and Prejudice and Zombies – which includes zombies and stars from HBO’s hit series Game of Thrones. I bet some of the papers those kids write are going to be awesome. The long-in-development feature, based on Seth Grahame-Smith’s novel (with an obvious tip of the hat to Austen’s novel of manners), has added two cast members from HBO’s wildly popular series – villains Lena Headey and Charles Dance – according to this report posted at Deadline. If I were the zombies, I’d be very nervous right now – and I’d not accept any wedding invitations, if you know what I mean. James will play Liz Bennett in the zombiefied update. Bennett finds herself resisting her family’s wishes to marry an aristocrat with oodles of money in favor of defending the helpless against a particularly nasty zombie outbreak. Smith is penciled in to play the bumbling Mr. Collins, who has his own zombie problem to deal with. We can only guess who Dance and Headey will play, but it’s no stretch to imagine Dance as the Bennett patriarch – a man who teaches his daughters martial arts so they can better dispatch the walking dead. Maybe Headey will be Dance’s wife (wouldn’t that be interesting…), who envisions her daughters married off and living a life of opulence. That’s just speculation, though – neither actor has been linked to a specific role. 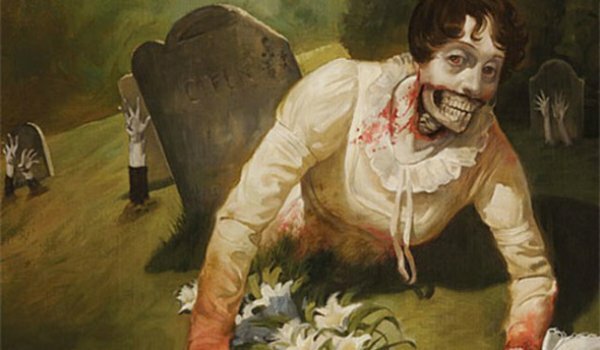 While there’s no official release date for Pride and Prejudice and Zombies, we expect to hear more about Burr Steers’ adaptation of the quirky novel as it works it way through pre-production.